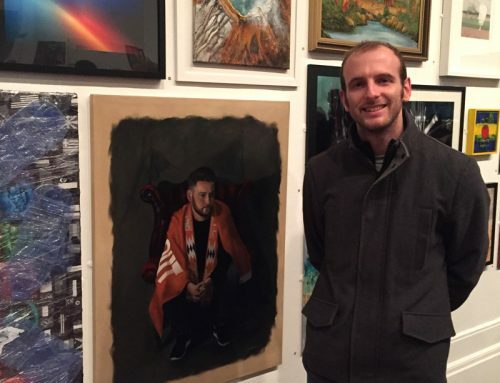 During a tour of Scotland last month I spent a day exploring the fabulous Stirling Castle and was delighted to discover the inspirational military portrait paintings of The Argyll & Sutherland Highlanders Regimental Museum. Perched high on top of Castle Hill, overlooking the city, the historic fortification is worth a visit for the brilliant views of the surrounding countryside alone. I was amazed at how much there is to see at the castle where the rich history has been excellently presented. Guided walking tours reveal highlights such as the restored Great Hall built for James IV over 500 years ago. One of my favourite parts of the visit was the famous Stirling Heads Gallery housed on the upper floor of the Palace where you can see the original carved ‘Heads’ that have been painstakingly sourced and conserved. 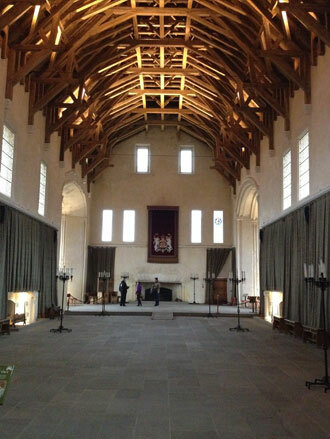 A real gem of Stirling Castle is the Argyll & Sutherland Highlanders Regimental Museum. 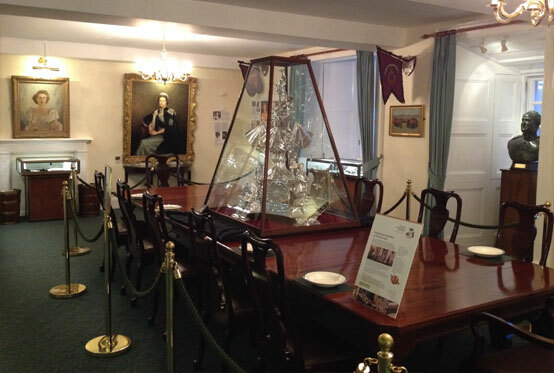 Opened in 1988 the museum displays the illustrious history of the Argyll and Sutherland Highlanders. 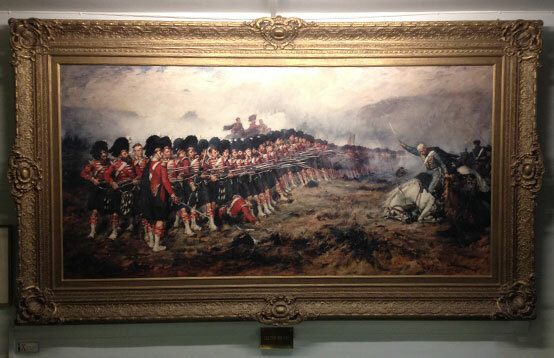 The museum features details of the regiment’s involvement in World War I along with the iconic ‘Thin Red Line,’ the military action at the Battle of Balaclava in 1854. 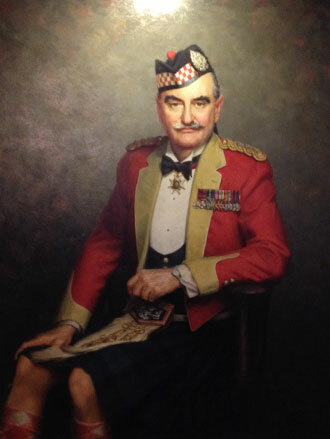 My favourite discovery of the visit to Stirling Castle was the military portrait paintings by Leonard Boden in the Argyll & Sutherland Highlanders Regimental Museum. 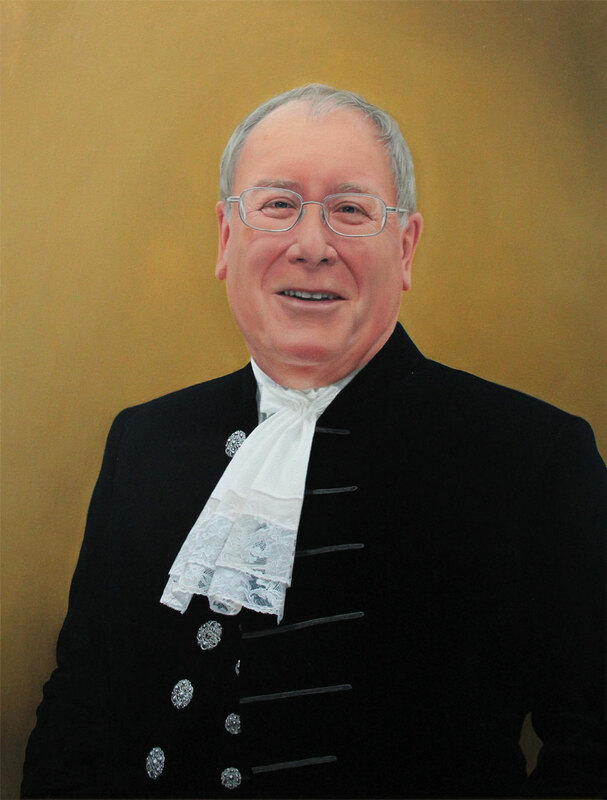 The museum is home to some fantastic portraits by the Scottish painter. 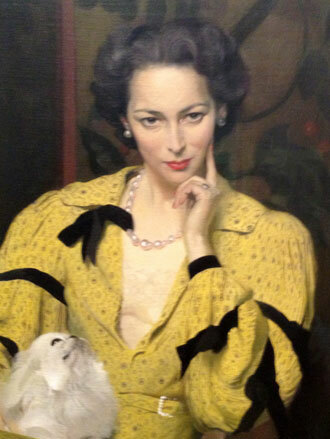 Paintings that caught my eye included Lieutenant General Sir Alexander Boswell, Major General F. C. C. Graham and General Sir Gordon H. A. Macmillan. All three of these imposing paintings are amazingly realistic with superb representation of different military dress. 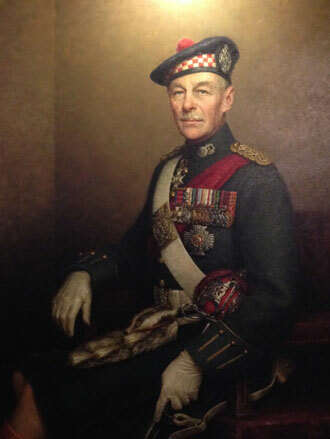 Features such as the sporran, sash, sword and Military Cross make the portrait of General Sir Gordon H. A. Macmillan particularly interesting. 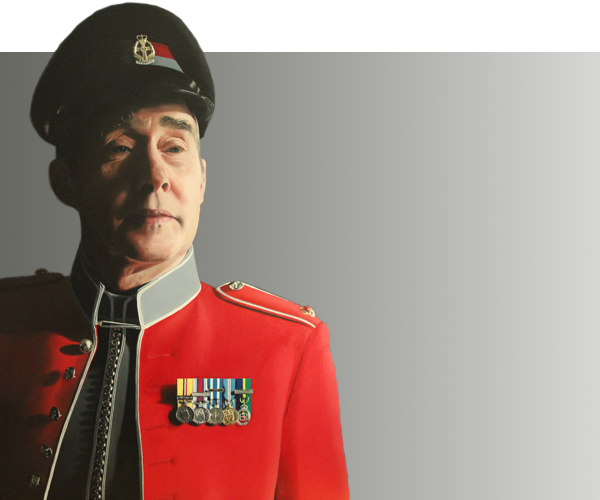 It was intricate elements of military dress such as these that I loved painting in my military portrait of Major Bradshaw. 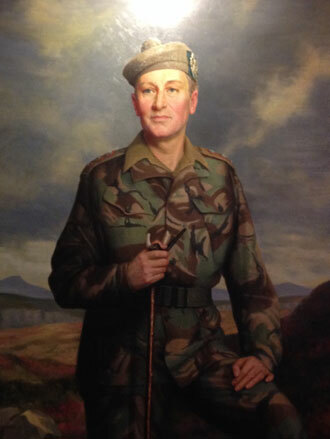 I love the way Boden has lit his subject in the portrait of Major General F. C. C. Graham. 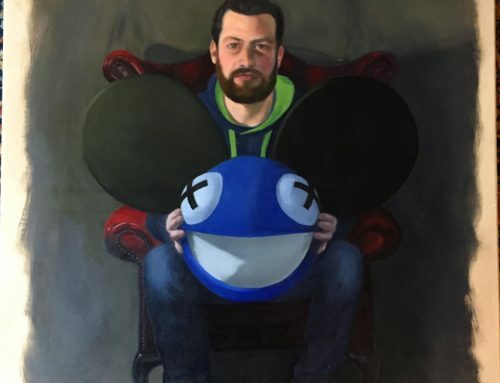 A real sense of depth has been achieved through the darker tones of the right shoulder and right side of his jacket. The portrait of Lieutenant General Sir Alexander Boswell features a superb cloudy sky above the rugged heather covered Scottish landscape. 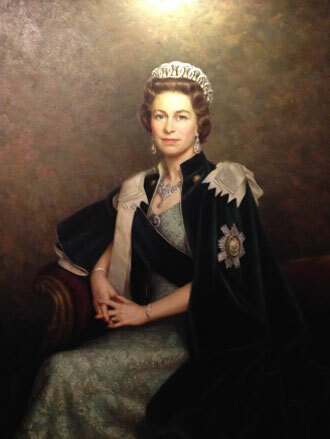 The Argyll & Sutherland Highlanders Regimental Museum boasts a fabulous three quarter length portrait of HM Queen Elizabeth II. 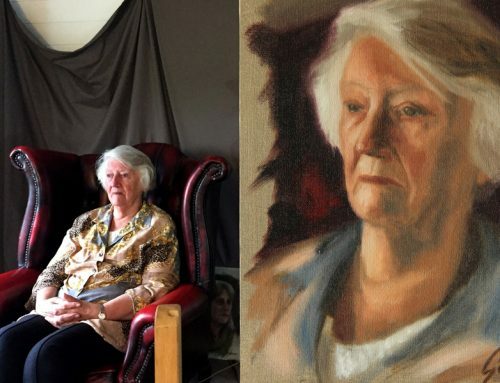 Boden painted over 19 royal portraits during his career and his obituary in the Independent provides some fascinating insight into his paintings of the royal family and the Queen in particular.